Every day we have a choice. I choose to homeschool. It isn’t right for everyone. But, it is right for us. 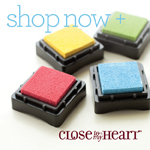 We are surrounded by an AMAZING group of young people in our community who are also homeschooled. The different groups that we are in host field trips to all over. Yesterday, I had put together a field trip to our local bowling alley. This was not just any field trip, this was a behind the scenes one. I don’t know if all of the parents were as impressed as I was. The bowling alley machines are AWESOME! We love to take field trips and learn about new (and old) places. This week on Discovering Education, we took a trip up to the Grand Canyon. I love having my freeze dryer. My favorite item that I love to freeze dry is not Ice cream (Although “Astronaut Ice Cream is Delicious – Remember Astronaut Ice Cream from the 1980’s?? check out this link if you have a minute: https://amzn.to/2OU33ai Yes, I literally make this now with my Harvest Right Freeze Dryer and my kids love freeze-dried ice cream). Fruit is not my favorite either, although the kids go GAGA over the fruit snacks that we make. And it isn’t the leftovers that I freeze-dry for Larry and Shelby to take to work for their lunches. These are SO convenient and don’t take up any freezer space because these are SHELF SAFE!! Here is my affiliate link to My Harvest Right Freeze Dryer – https://affiliates.harvestright.com/377.html. They are pricey but so worth it. I have no waste coming out of my kitchen. I have freeze dried green bean casserole, lunch meat (yes, lunch meat when I can get it on a SUPER SALE), veggies out of my garden. We have made homemade “cup of noodles” with organic healthy ingredients and a lot less salt. Soups and stews have been dried and later eaten as well as Alfredo! I even freeze-dried beef liver sliced up for my doggies for treats! We have even freeze-dried excess eggs, (Raw and whisked) and goats milk right off of our homestead. Of all of the things that I have used my freeze dryer for, I think that freeze-dried baked chicken has been the best item that I have made (you can purchase canned freeze dried chicken as well). When I can pick up boneless skinless chicken for less than $1.50 a pound in my area, you can bet that I am buying extra and cooking in my crockpot or roaster oven for later. So what do you make with freeze-dried chicken? ANYTHING that you make with fresh baked chicken – Fajitas, alfredo, chicken with sauce, casseroles, tacos, chicken salad sandwiches…. literally ANYTHING! This is very simple. Depending on the item, you can either choose to reconstitute with hot water by submersion (Either in water or thrown into soups), you can use a spray bottle to reconstitute (I use this method for things like kale or spinach that I am not added into a soup), you can wrap an item in a wet paper towel (think tomatoes) or you can leave as is and use on items or eat it CRUNCHY THe kids LOVE to eat strawberries like this and I have found that if I crumble up guacamole – yes, I did make and freeze-dry this as an experiment – it tastes GREAT on salads. OK, My friends here is the down low – This is EASY! Do not be intimidated by freeze-dried foods!! Getting your homeschooled kids up and active can sometimes be a daunting task. We discovered geocaching almost 10 years ago and are still having fun. Now that the kids are bigger (and some are driving), they like to go out and some of them have created their own geocaching profiles too. Geocaching is basically a GPS “treasure-hunt”. You are looking for a container where you sign your name and put it back for the next person. There is a website at www.geocaching.com. You can also download an app at the google play store. What a fantastic time we as a family had up in Williams, AZ visiting Bearizona for their fall homeschool day. Bearizona is an amazing zoo type park in Northern Arizona. It is on 160 acres and comes in 2 parts. The first is a 3-mile drive through where you can see many animals in a more natural environment. The second part is a zoo where you can walk through. Check out our adventure in video and photos below. This park gets a 2 thumbs up from our homeschooling family! And we plan on going again! Have you met a Muscovy Duck? Muscovies are not related to any other duck, in fact, some believe they are possibly descended from geese rather than ducks. They are amazing additions to any homestead or farm. Muscovies are a silent duck (Yes, you read that, they.do.not.quack) and they have amazing caruncles on their face and necks. They also have long claws and will roost in trees if they want, unlike other ducks that I have raised over the years. Ducks eggs are the richest, creamiest, smoothest eggs going. We use duck eggs in our baking and it tends to make cakes rise more and be fluffier. Muscovies, however, are not year-round layers, so if you are looking for year-round duck eggs, this is not necessarily the breed for you. Muscovy meat is dark and very lean. It’s worth knowing that the boys weigh in much heavier than the girls and can be up to twice their weights. In the summer months our birds will require very little extra food as they forage plenty even on our little homestead in Northern Arizona, but in the colder months they’ll need feeding a duck or chicken feed daily. My do like to forrage through the Kune Pigs’ Alfalfa feeder in the winter time as well. Join us on another homeschooling adventure at the Pioneer Living History Museum in Phoenix, Arizona. Well worth the visit for the little cowboy in your life!!! Watch us this week as we Discover Education in Jerome, Arizona and find something special on the dirt back road that we took. Click on the banner below to get started!!! Today’s review is on the MunchPak. 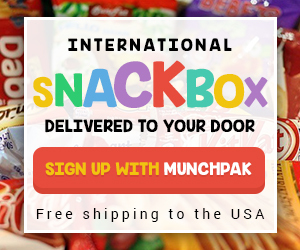 It is a snack delivery program that contains snack foods from around the world. We chose a monthly subscription and chose the original box which contains 10+ items. It was the perfect size for use to try everything. We didn’t wait long for the box and it was less than $25 dollars for the one that we chose. It was delivered only 3 days after we ordered it. WOW! And there was a variety of snacks from 7 different countries. I loved that they were labeled by country in the box and each of the kids found something that they link. Laughs and giggles went around the table along with the foods. I foresee us studying each of the countries that we received foods from in our homeschool program. This received a 2-Thumbs up from everyone in our house!! We can’t wait for next month’s kit. Creating Lapbooks for your child’s homeschool program is a GREAT way to bring out that budding crafter in your house. Lapbooking is a creative way to use a file folder and create a “book” or research report. Our house tries to break out of the normal routine by creating a lapbook and presenting an oral report on the topic.